How Long Does a Hermit Crab Live? If the wild hermit crab is fortunate enough to live his life in his natural habitat, he can live up to 30 years. A crab in captivity may have a much shorter life, not even reaching 1 year. However, with proper care, your crab can live up to 20 years. Caring for hermit crabs is no easy thing. Often, crab owners bring home sick or poorly cared for crabs because the pet store doesn't understand how to properly care for this delicate crustacean. Hermit crabs molt to grow, shedding their exoskeletons during a stressful period, which entails burying into the crabitat's substrate for days or weeks. Additionally, these guys have gills, meaning they require proper moisture to ensure they don't suffocate. The person who doesn't understand a hermit crab's special needs will likely be disappointed if his new pet doesn't live very long. However, a little research and care can result in a pet that can live up to 20 years in a healthy, well-tended crabitat. How Long Do Hermit Crabs Stay in One Shell? Why Is My Hermit Crab Digging a Hole? 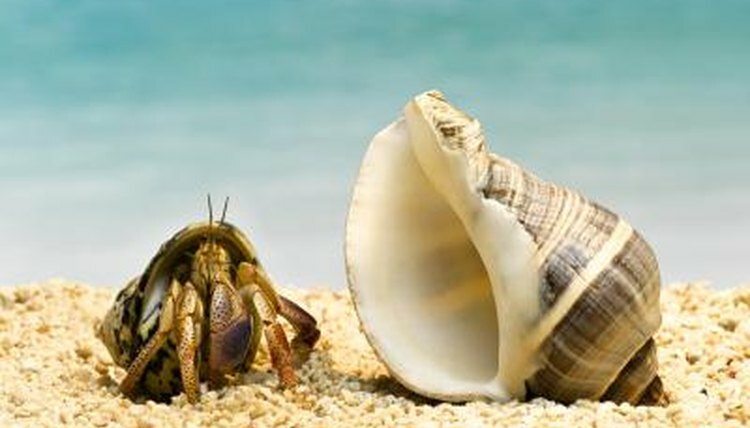 What Does It Mean When Hermit Crabs Leave Their Shells?